Blow drying and styling my hair is probably one of my least favorite things to do. I have absolutely ZERO patience for it, so I'm always thrilled when I find products that make the process easier and faster. I love each and every one of these and all of them have made the dreaded task of doing my hair a lot more tolerable. Since I'm always on the look out for new products, I'd love to hear what your favorites are! 1. 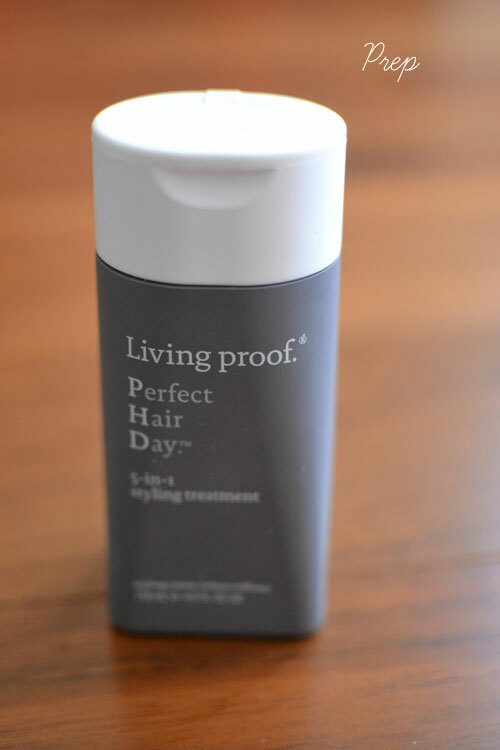 - "Perfect Hair Day" by Living Proof - Hands down, this is my favorite hair product EVER. Its name pretty says it all. It's a 5-in-1 styling product that smooths, adds strength and volume, conditions and polishes your hair. Plus, it smells INCREDIBLE. I evenly apply a dime sized amount of to damp hair before I blow dry. 2. - Good hair brushes are important! 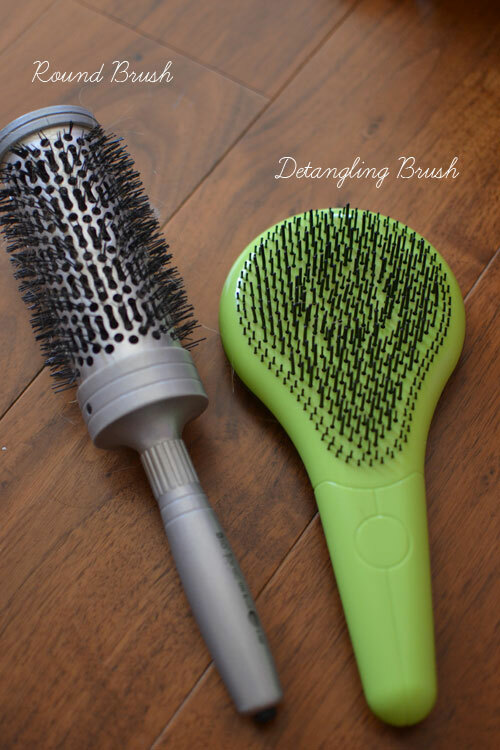 If you haven't tried a detangling brush, you need to. It detangles wet hair without any pulling or pain. There are a lot of them on the market, but this one is my current favorite. After my hair has been rough dried with my fingers, I use a round brush to shape and smooth. 3. - I like to switch up my hair products from time to time in order to avoid a "hair rut". As much I love "Perfect Hair Day", I sometimes swap it out for a volumizing mousse. I definitely believe that switching your hair products every few days gives new life to you hair. 4. 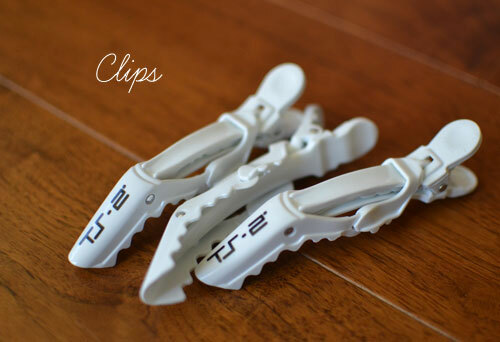 - Clips!! As I mentioned above, I first rough dry my hair to get it about 95% dry. I then use clips to divide my hair so I can finish the process with my round brush. I've found that using a round brush on almost-dried hair adds a lot more shine as opposed to using it on completely wet hair. 5. 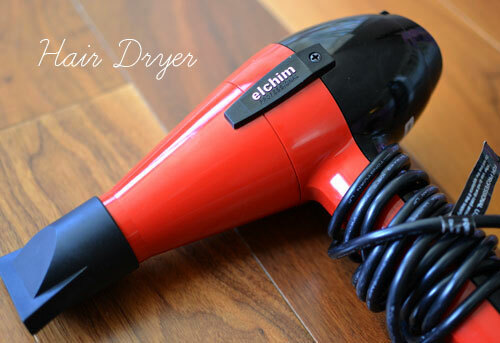 - This hair dryer by Elchim has cut my drying time in half. Period. 6. 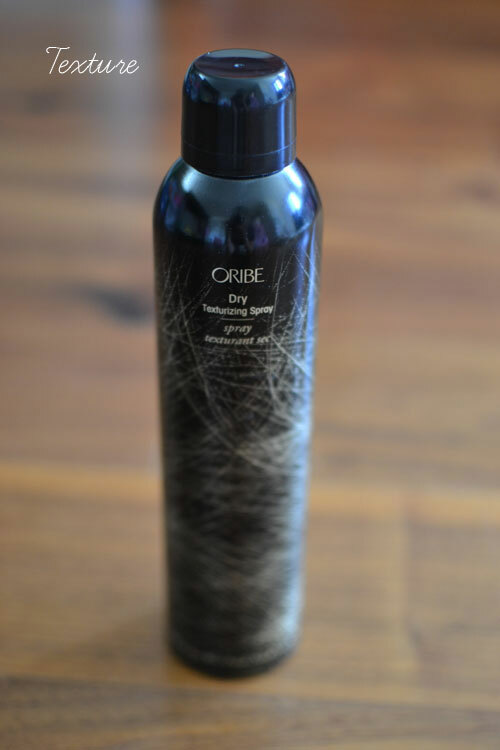 - If you like that beachy/day old hair feel, then Oribe's Dry Texturizing Spray is for you. Next to "Perfect Hair Day", this is my 2nd favorite hair product. It's kind of pricey, but a tiny bit, goes a LONG way. Oh, and it also smells absolutely amazing (I'm a sucker for good smelling hair products). 7. 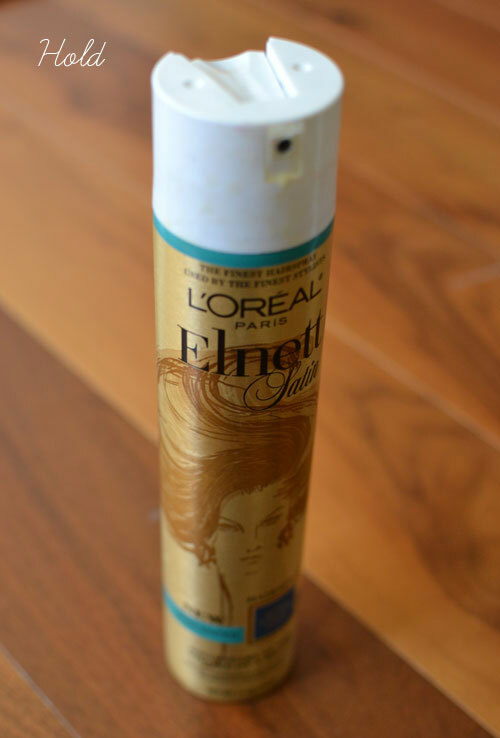 - L'Oreal Elnett hairspray has been a long time favorite of mine. 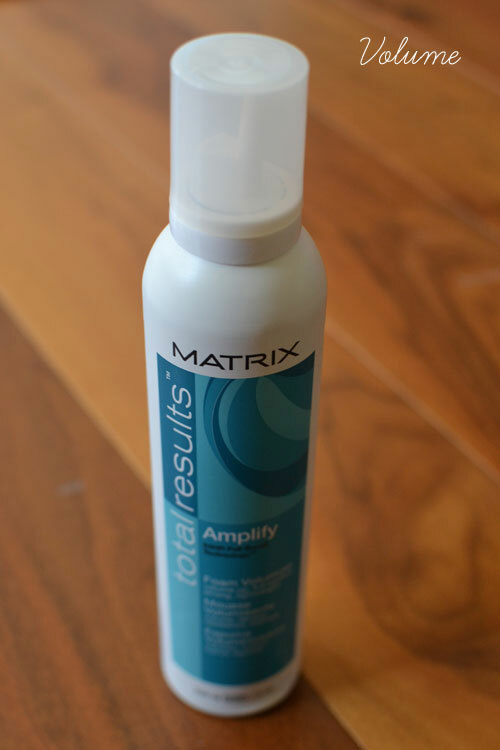 It's incredibly lightweight and gives my hair just the right amount of hold. "Bio-Ionic" Round Brush and Michel Mercier's "Professional Detangling Brush"
Elchim "2001 Classic Hair Dryer"
I just read about that 5-in-1 stuff somewhere else - might have to pick some up!